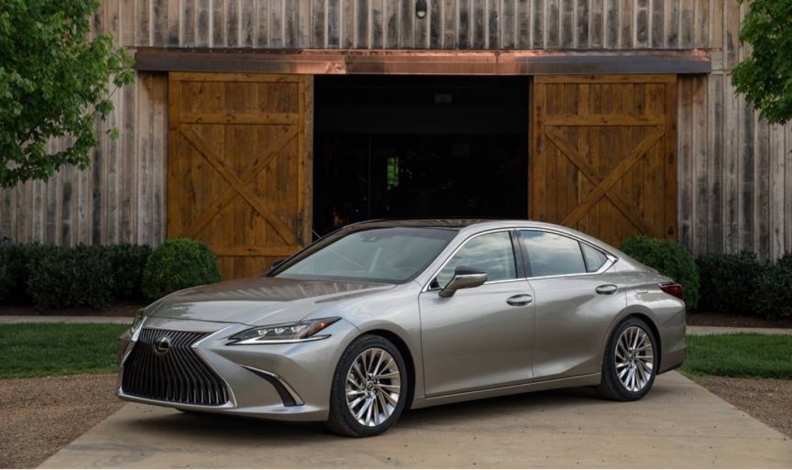 EDITOR’S NOTE: The previous story about the the Canadian launch of the 2019 Lexus ES 300h hybrid contained incorrect pricing information from Toyota that overstated savings on the sticker price of the new model. The automaker has provided amended information about the model showing the new price is only $50 less than the outgoing model. The new version of this story contains the corrected pricing information. Toyota Canada is slightly trimming the price of its 2019 Lexus ES 300h self-charging hybrid due to technological advancements and the company is also offering a sport variant to the ES 350 V-6 version of the luxury vehicle. The automaker is knocking $50 off the base price of the hybrid, which starts at $49,075, including shipping. “With the new generation of hybrid engines, we are able to offer more competitive prices than before,” Toyota Canada spokesman Romaric Lartilleux said in an email Thursday. The ES 300h is a fourth-generation hybrid that combines a 2.5-litre Atkinson-cycle four-cylinder gasoline engine with an electric motor and nickel metal hydride battery for 215 hp. This new 2.5-litre is more efficient, and the new electric motor is smaller and more power-dense, than the previous versions. The base trim comes standard with LED headlamps with cornering lamps, Apple CarPlay and Enform Audio with Scout GPS, and eight-inch audio display, a seven-inch multi-information display, rain sensing wipers, fog lamps, and more. Three additional trim levels — premium, luxury and ultra luxury — are available with the price topping out at $63,575, including shipping. Toyota also said Thursday the base model 2019 Lexus ES 350 will start at $47,075 and have the same three trim levels available, topping out at $61,575, shipping included, for the ultra luxury package. All versions of the ES 350 are powered by a 3.5-litre V-6 engine that produces 302 hp and 267 pound-feet of torque, an increase of 34 hp and 19 pound-feet over the previous-generation V-6 unit. Lexus is also courting younger male buyers with the first F Sport variant of the ES while trying to keep its core audience happy with an overhaul of the platform, styling, interior and tech. The F Sport adds more aggressive styling cues and some handling enhancements. The F Sport version adds Adaptive Variable Suspension, which features adjustable dampers, as well as a sport-plus mode for the Drive Mode Select system that activates the most aggressive suspension, transmission and engine settings. It also has a different grille design that sets the F Sport model apart from the other versions. It comes with a rear spoiler and standard 19-inch alloy wheels — the other versions come with 17- and 18-inch wheels. The F Sport model will also come with a three-spoke steering wheel and offer an exclusive exterior colour. Total ES sales in Canada have fallen four straight years and are down 24.4 per cent to start 2018. Its most successful sales year was 2007 when Lexus sold 4,251 units, but sales bottomed out in 2017 when the company sold just 1,892. Through July, Lexus has sold 833 units of the vehicle. The 2019 Lexus ES series goes on sale this fall.